3. Keep shopping our designs or checkout. 4. Fill in your details. Click finish. Samples are processed by Paypal. Samples of day invitations are all €5.59 each including VAT and postage. 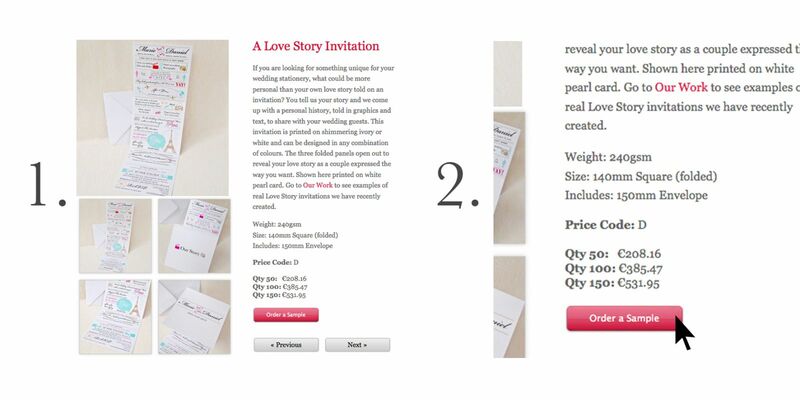 Your sample invitation will be sent as described on the product page. Sample orders are processed within 2–3 working days.